The enthusiasm, the wish of silence and peace, the pleasure to have contact with the nature, the unquestionable beauties of Sarzana, of this last part of the region “Liguria” on the border with Tuscany, together with the strong wish to return to the “routs” and to start a new (not easy) profession, is the main reason which induced Paola and Angelo to leave the “Lombardia” and to restructure an old farmhouse located in the middle of 45,000 meters plot. A few minutes from Sarzana’s historical centre, in the village “Monticello” in the middle of hills and of an oasis of silence you will find this white structure which is in contrast to the meadows’ green, the flowers’ and the nature’s various colours. This structure is ready the welcome you! The guests, who spend their holidays here in this farm-house, are welcomed like old friends or even family members. The company cultivates its territory and produces all kind of fruits and vegetables, for the own needs, using only biological methods. The kitchen is Paola’s territory – she prepares almost exclusively vegetarian dishes. The beautiful and spacious rooms, all with private bath, the farmhouses’ rooms (dining room with chimney, and common room with television), the arcade, the meadow, the woods, gives you the possibility of a complete relax, having a walk, reading, writing, studying or observing the nature or having a sun-bath in absolute silence. Those who are interested in antique furniture have a big choice; in Sarzana’s historical centre (which is only 2 km from the location), are a lot of restoration workshops, and shops selling antique furniture. All over the year numerous exhibitions regarding antique furniture are organized; the most famous event is “la soffitta nella strada”. 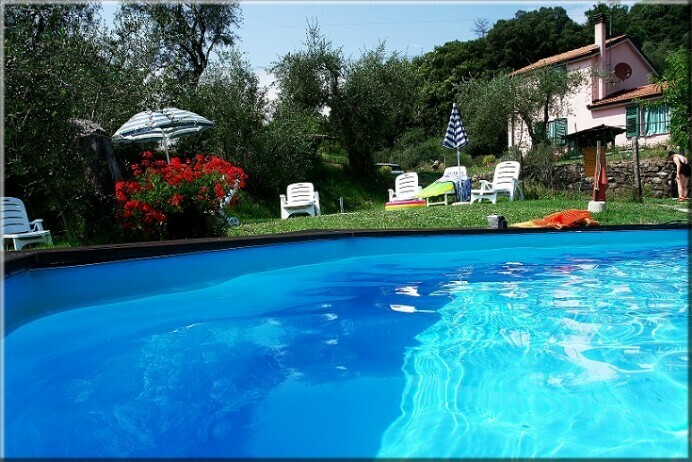 From this favourable location you can reach the beautiful villages on the coast (Bocca di Magra, Tellaro, Fiascherino, Lerici, Portovenere), the “Cinque Terre” with its villages over the sea (Riomaggiore, Manarola, Corniglia, Vernazza and Monterosso) or the beaches of the closed Versilia. The hills in the surroundings of Sarzana (Castelnuovo, Fosdinovo, Ortonovo etc.) represent an interesting alternative to the sea. 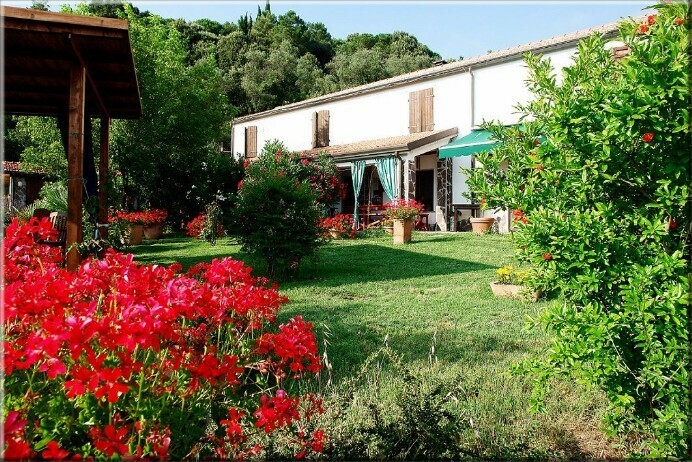 This farm house is characterized by a family atmosphere, that’ s why our choice is having dinner all together with our guests every night, with the opportunity to know each others and enjoy some time in good company. 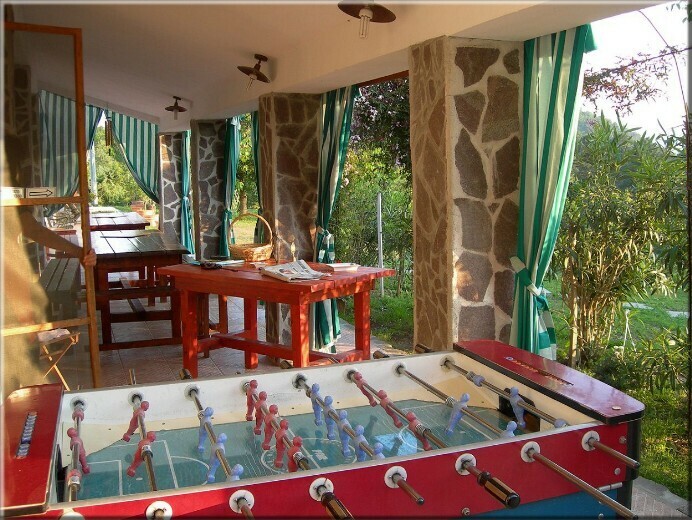 During the day you can always take a break and relax in the swimming pool but also have fun with us playing games, expecially ping-pong and the typical Italian table football. We are surrounded by the hills but don’t forget that we are so closed to the sea … Just 15 minutes and you are in Lerici beach, from Sarzana.